The Shale Gas News, heard every Saturday at 10 AM on 94.3 FM, 1510 AM and Sundays on YesFM, talked about energy dominance, Nord Stream 2, PA’s shale drillers and much more last week. Every Saturday Rusty Fender and I host a morning radio show to discuss all things natural gas. 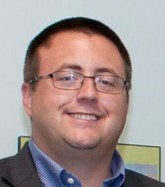 This week, as a guest, we had Tom Shepstone of Natural Gas NOW. U.S. oil and gas boom powers nation’s fastest-growing industry. President Donald Trump said in his State of the Union address that the U.S. has “unleashed a revolution in American energy.” Indeed, after increasing production for years, the U.S. has become the world leader in oil and gas output, making extraction (or mining) the nation’s fastest growing industry in the next year, according to a new Oxford Economics report. BLM nets record revenue; Bernhardt touts ‘energy dominance’. Oil and natural gas lease sales on federal lands in 2018 set an all-time annual record for revenue, generating $1.1 billion and nearly tripling the previous record set a decade ago, the Interior Department announced yesterday. Albany moves toward oil, gas drilling ban. New York State’s Senate and Assembly have passed bills to prohibit drilling for oil and natural gas in New York coastal waters. The bill, which would apply to state-owned underwater coastal lands, also would bar the state’s Department of Environmental Conservation and its Office of General Services from authorizing leases that would increase oil or natural gas production from federal waters. The bill would also prohibit the development of infrastructure associated with exploration, development, or production of oil or natural gas from New York’s coastal waters. France Joins U.S. in Questioning Gas Pipeline Backed by Merkel. In a last-minute announcement, France agreed to back a European Union proposal creating hurdles for a controversial natural-gas pipeline, rejecting an appeal by German Chancellor Angela Merkel’s government. France intends to support an EU proposal on Friday that would give the bloc more say in the Nord Stream 2 pipeline being built between Russia and Germany, despite German objections, a Foreign Affairs Ministry spokesman said. Currently, the project is only subject to international regulations because it is being built between the EU and a country outside the bloc. Arsenal Resources Files for Speedy Chapter 11 Bankruptcy. The parent holding company for Marcellus driller Arsenal Resources, Arsenal Energy Holdings LLC, is applying for what has to be the fastest “prepackaged bankruptcy” we’ve ever heard of. Yesterday (Feb. 4) the company filed, claiming nearly all of its outstanding “stakeholders” are on board with the plan–and they aim to exit bankruptcy on Valentine’s Day, Feb. 14. Arsenal Resources says vendors don’t have to worry, it’s business and usual and everybody will get paid everything they are owed. Proxy War: Rice Brothers Say Top EQT Mgmt, Board Must Go. Let the fight begin. Yesterday the Rice brothers, Toby and Derek, held a conference call with EQT investors to lay out their detailed proposal for how EQT should be run. The Rice plan includes giving the boot to current EQT CEO Rob McNally and much of top management, and installing Toby as CEO, bringing along 15 Rice alumni to kick-start EQT’s “moribund performance” (our interpretation of what Toby said). 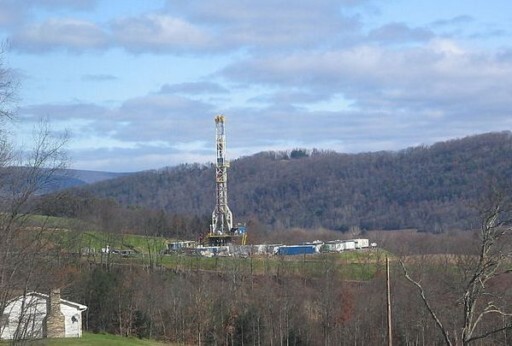 List of PA’s 42 Shale Drillers – How Many Wells Drilled & Where. It’s good to step back every now and again and look at who is drilling, how much they are drilling, and where they are drilling. We have such a list below for the 42 active shale drillers in Pennsylvania. The Pittsburgh Business Times recently compiled several helpful lists, one of which chronicles all of the companies that drill (or manage shale wells) in the Pennsylvania Marcellus. It’s a fascinating list. Gas Drilling along with Quarrying and Mining only accounts for 6.5 % of our jobs in my county and that is for 2017 statistics. Gas Drilling accounts for less than 6.5% of our jobs since quarrying is included. In 2007, when there was no gas drilling, the mining and quarrying accounted for 4.9% of our jobs in my county. Subtract those two figures and you can see how little impact there is in the job market for our residents. We need better jobs that appeal to our residents and safer and healthier ones. Working six days a week and up to 12 hours a day is not that appealing. and “Retail Trade” which are categories on this employment chart. As if retail trade, services, transportation, manufacturing, etc. weren’t impacted by shale industry activity. Vera, this is proof-positive you haven’t got the slightest idea what you’re writing about. You’re simply seeing what you want to see. You are not taking into account any new businesses that use gas and any support business jobs not listed in industry statistics. You seem to have a very narrow mind when it comes to anything you don’t agree with. They don’t list the security jobs in the industry necessary to protect sites from trespassers and vandals either. TF: You mean like Cabot’s rent-a-cop at the gate of its picnic who poured my jug of good drinking water onto the ground, making me walk around the picnic thirsty on a 100-degree day?